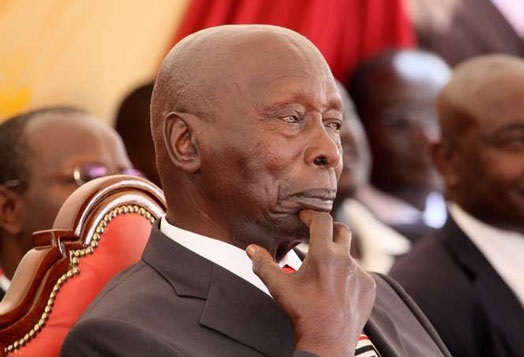 Tuesday March 26, 2019 - Former President Daniel arap Moi is the latest name to be mentioned in the ongoing Arror and Kimwarer dams scandal where Ksh160 million was reportedly splashed on 47 cars. This was revealed by the Director of Criminal Investigations (DCI), George Kinoti, who noted that 28 of the vehicles were controversially transferred to two warehouses before they were registered. According to the DCI, only 17 of the vehicles were registered under the now insolvent company tasked with constructing the dam, CMC Di Ravena. 18 of the remaining vehicles were found at a warehouse along Mombasa Road while 10 others had been holed up in a storage facility at JKIA linked to former President Moi. So far, detectives have impounded 37 of the vehicles which were taken to DCI headquarters in Nairobi.